This was covered repeatedly in Grade 1, and is reviewed at the beginning of Grade 2. It’s used most effectively when comparing addition and multiplication. This is another good reason why all 4 processes should be taught at once, from the beginning. If there’s no need to build a foundation for multiplication now in Grade 2, more advanced concepts in multiplication that are related to the above standard can be explored. 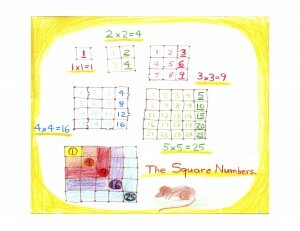 In the Waldorf and Math By Hand Grade 2 curriculum, fables are used to teach and practice math concepts. Fables lend themselves beautifully to this purpose. In order to elaborate fully on this relationship, I will devote tomorrow’s post to it. Pairing the following fable with the square numbers up to 25 is a concept that is somewhat related to the above standard. Having worked with the 5’s table since the beginning of Grade 1, it’s appropriate to now interpret this standard along these lines. 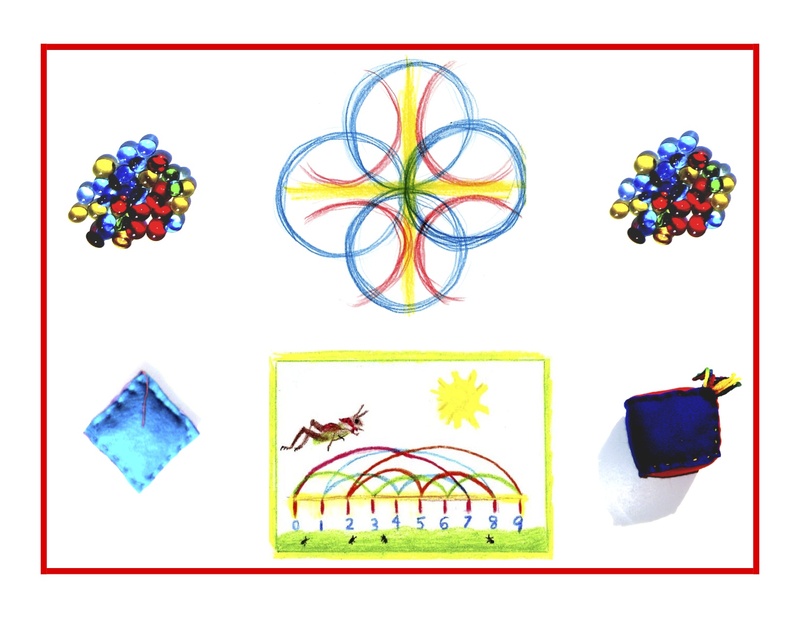 Here is a fable, followed by instructions and a drawing for applying it to the square numbers up to 25. 1) Lay out the pattern with dots first. These can be the knots in the net. 2) Add the lines between the dots to create the squares, erasing in spots and adding the gnawed places. 3) Write all the counting numbers in lightly, darkening the “X” numbers, with the square number on the bottom right. Write the equation next to each one. 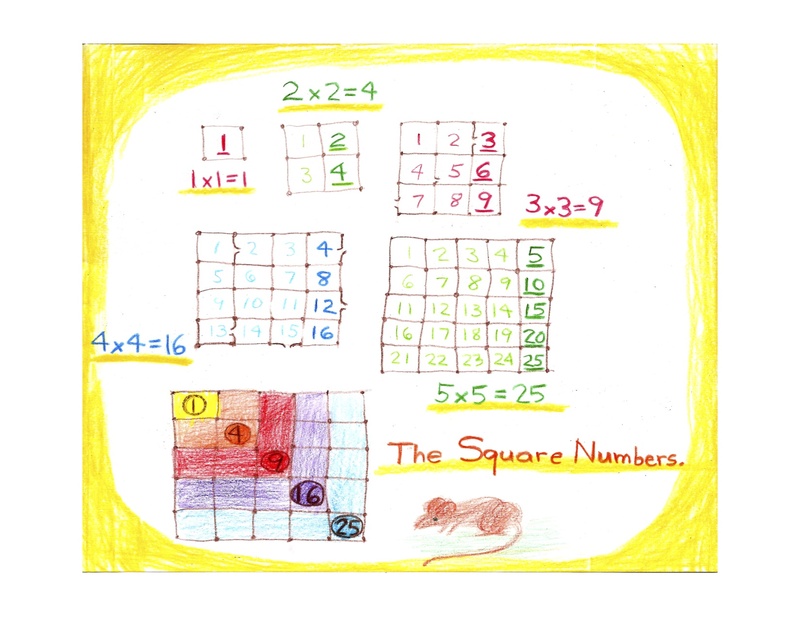 4) Create one more 5 square with all the square numbers in different colors inside. Title the drawing and add our hero the Mouse! Knowledge ensues in an environment dedicated to imaginative, creative knowing, where student and teacher alike surrender to the ensuing of knowledge as a worthy goal. Tune in tomorrow for more Common Core, along with its ambient, Waldorf/Math By Hand counterpart.